My favorite time of year in Oregon is Spring. The mountains stop snowing, the flowers start blooming, the Morel’s start popping, turkeys begin gobbling, and the lambs start to hit the butcher. 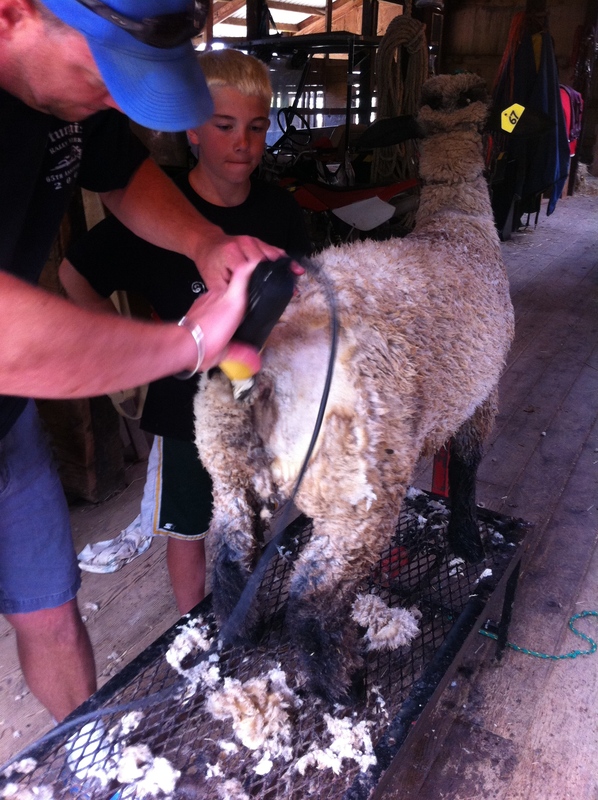 I have a friend aka “Egg Man” where I get my fresh farm eggs, his boys also raise some lambs for the fair. 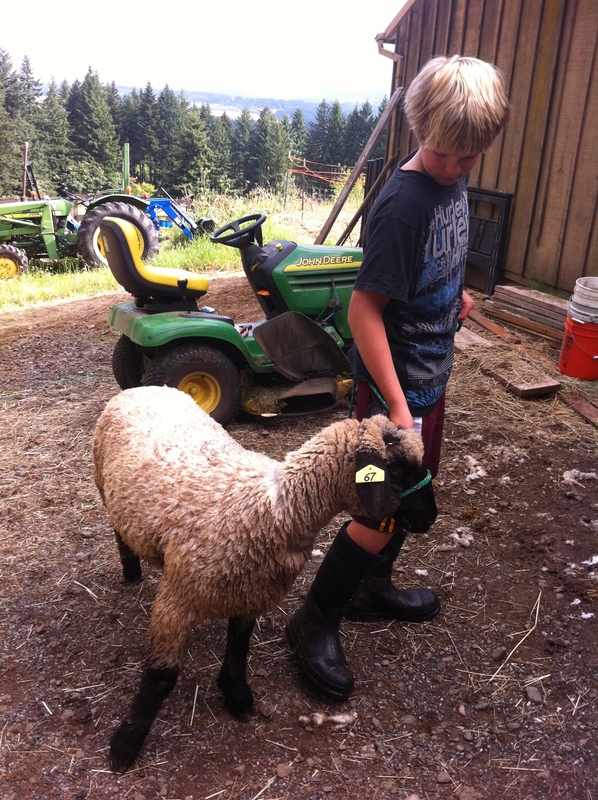 They take a lot of pride in their livestock at their farm and I happened to be lucky enough to get one named Spanky. These little fellas have been eating nothing but the good stuff since they hit the ground. Egg Man does a little of the handy work in the vital areas where the boys get to clip the remainder getting them ready for the show....and my freezer. The boys do well at the fair, their little buddies are then taken to my big buddy and made into many different cuts of meat and delivered to my freezer. I had the boys over at the house for some lamb kabobs (of course I did not tell them that they were eating little Spanky until later). They were both surprised how good it was, then I told them. They were good with it, they were farmers at heart and new the deal. I am not sure if Spanky would agree with that. In a small bowl mix all the ingredients into a large bowl, cover and chill for an hour in the fridge. 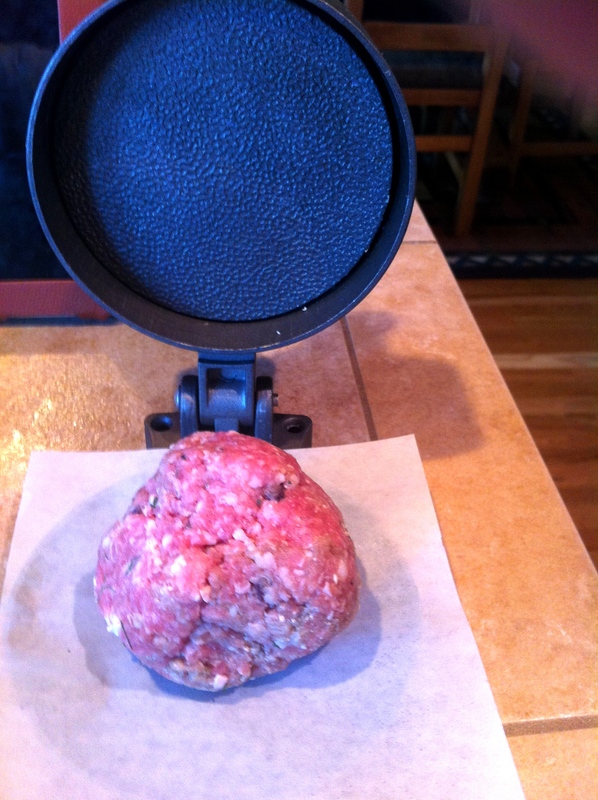 Remove from fridge and make into round balls and using a hamburger press make into patties. 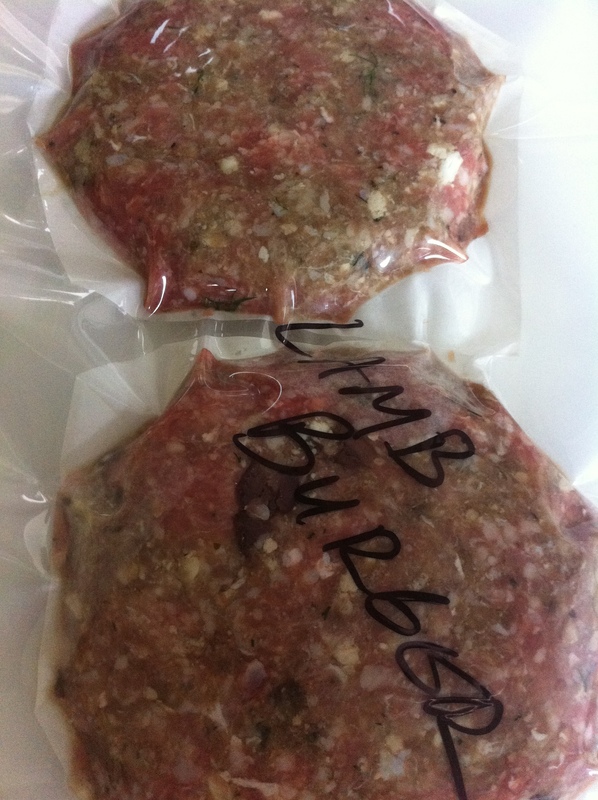 I doubled my recipe because I always like to have a few for the freezer for those run and gun burger needs. 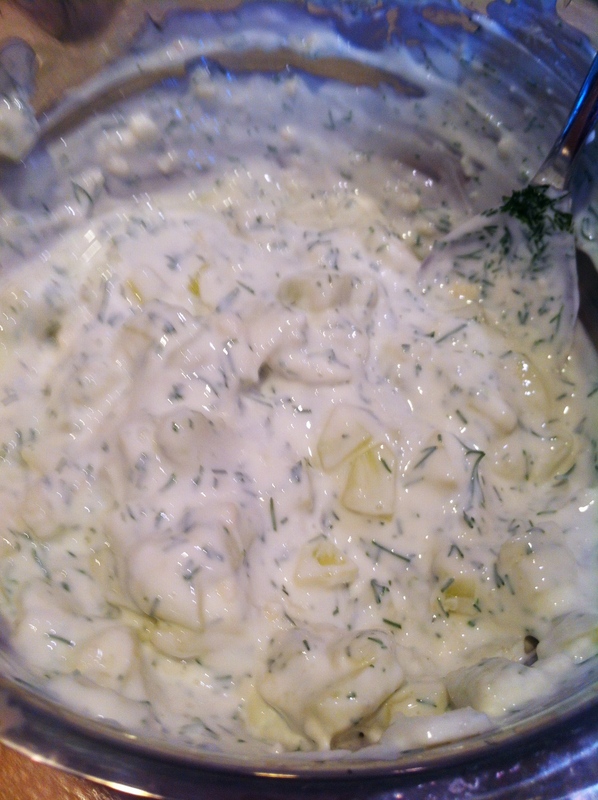 You can see the olives, dill and feta in this beauty! 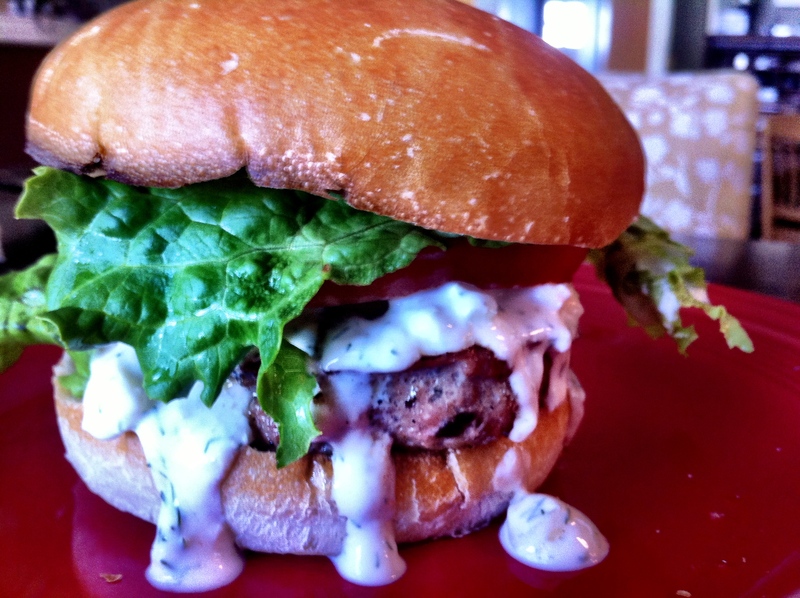 I usually cover the burger and put on a cookie sheet back into the fridge while I make my special Greek Tzatziki sauce. If you think you are going to go straight to the grill, make sure to make the sauce first and let it sit in the fridge for at least an hour. 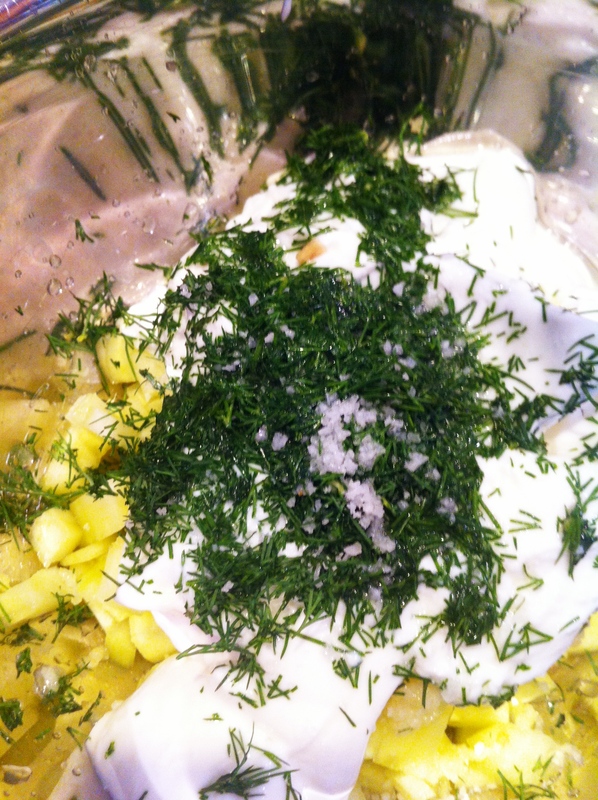 Mix all the ingredients together and put back in fridge to set up. The sauce will thicken up the longer you keep it in the fridge (not more than three days). I get the bbq fired up and I take my patties out and let them get to room temperature. Lamb is going to cook a bit faster than beef. I like to cook it at high heat on the Traeger, the trick is to cook it hot and quickly so about 4-5 minutes on each side or when brown. Flip them and repeat the process. Lamb should be served medium rare for best results. Remove them and let them sit for about 5 minutes. They continue to cook. 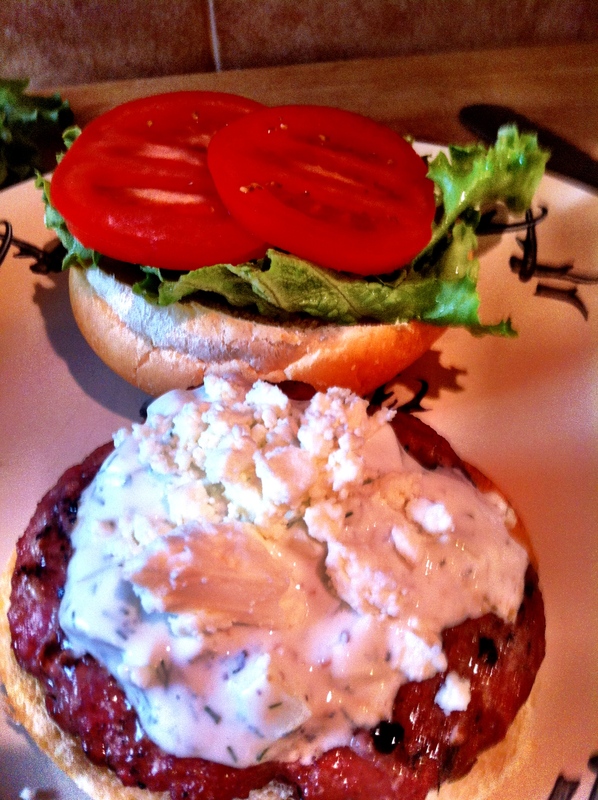 Add the Greek Tzatsiki sauce, a little bit of feta and tomatoes and lettuce...and BAM! I did a test this weekend and did not tell anyone that it was lamb. 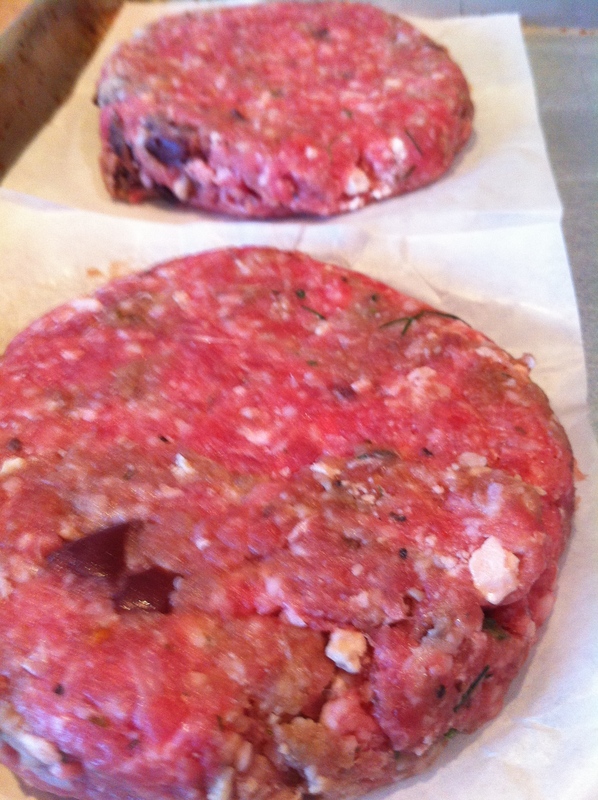 Even the lamb haters loved these burgers. 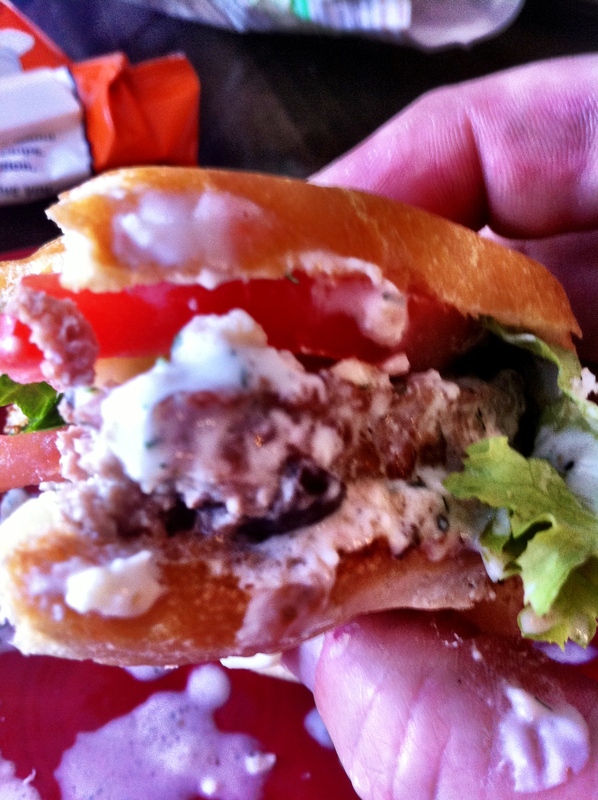 The hardest thing about this lamb gyro burger is not having two of them. I vac pac the extra patties and toss in the freezer for future use. 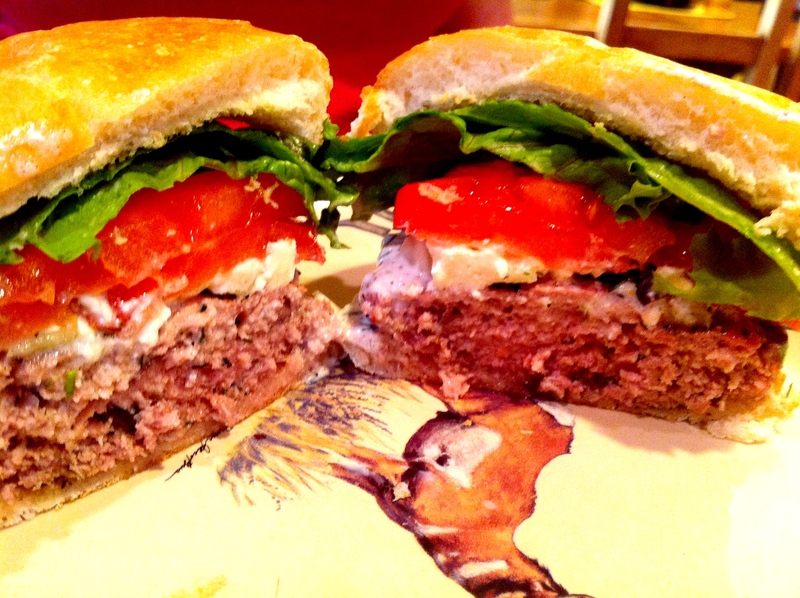 After tasting this burger, my best advice to you would be to make sure you have some more patties in the freezer! Try this one folks. You will be a superhero for that sunny day bbq and your family may not make you do the dishes for a week.